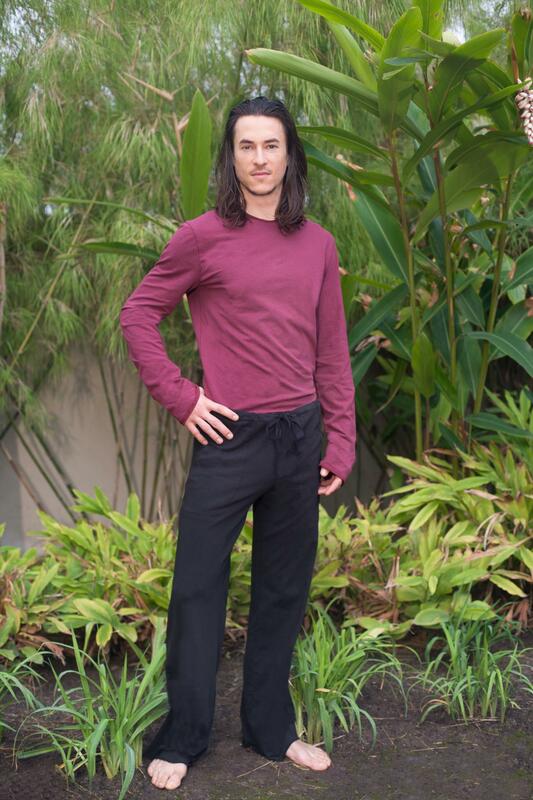 The Men's Lounge Pants are comfortable, stylish and super cozy for any activity, lounging around the house, streetwear or a walk in the woods. Features: A tie though the waist band creates an adjustable waist line. Two side pockets create space for the essentials. Shown here: The black colour and see the thumbnail showing the creme colour. See under the Spa section for the 100 % brown fleece fabric option. The long sleeve tee shirt is in burgundy complimenting a great outfit!